Imagine wanting to find a rare or out of print book, it may seem like finding a needle in a haystack. Up until recently that was the exact case. With the advent of the internet and the technology age, AbeBooks simplifies the process and allows you to search online. 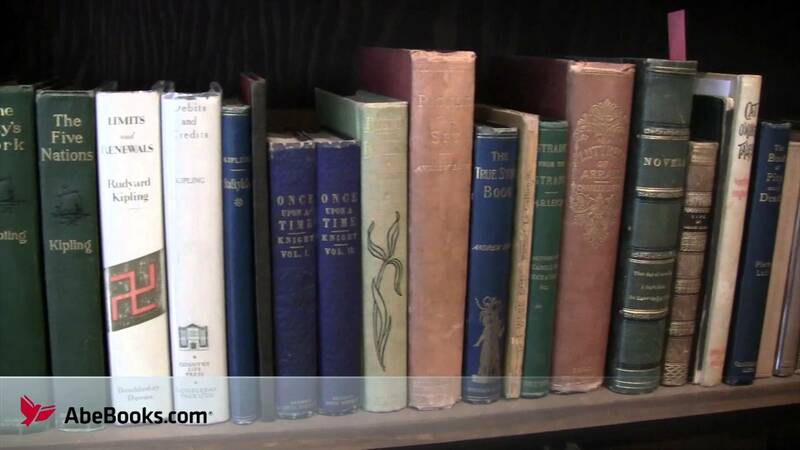 AbeBooks offers everything from new to used, to even rare books and textbooks. Customers can rest assured that they will almost certainly find what they want at a price that is fair. Just go to AbeBooks.com to browse and search their selection. What makes the site particularly popular is the amount of offers and deals available. These are redeemed with special AbeBooks coupons, a list of which we update here at Coupofy whenever something new is available. Shop 50 Collectible Books Under $50. The Divine Dozen: 12 Highly Unusual Items on AbeBooks, while supplies last. The company was started in 1995 by Rick and Vivian Pura and Keith and Cathy Waters with the intention to make finding books easier. The group would finally launch there alpha version of the site in 1996. The site grew steadily and became popular outside of the US and Canada when it was acquired by German company JustBooks GmbH In 2001. The founders were eventually bought out in 2006 by Hubert Burda Media. The site continued to grow and was once again bought out to its current parent company Amazon. With the financial backing through Amazon was able to purchase rare book marketplace ZVAB in 2011. This has led to the current success of Abebooks and the site has become the number one retailer in finding rare and out of print books. They also have an advanced search feature to help you find exactly what you're looking for. Whether it's a first edition business textbook from the 80s or an original Beatrix Potter "Peter Rabbit" you can find it at Abe Books. There is also a dedicated page for books that have been discounted or are on sale. Coupling these with one of our AbeBooks coupon codes will net you a great bargain! Gift credit cards are also okay to use when purchasing with AbeBooks but, buyers are asked not to discard them until after the purchase has been received and is to satisfactory. Returns will be given to the credit card and no via cash or check. In order to redeem an AbeBooks coupon code, simply enter it in to the promotional box before payment. Shipping is not concrete or set prices on AbeBooks, customers looking to make purchases will need to note the seller’s price and any shipping prices they may be charging. Occasionally the site itself will run a free shipping offer through the use of an AbeBooks promotional code. If the item does not arrive within 30 days of the estimated shipping date or there is an error with the book a customer may file for a return. Sellers have the discretion on whether a book will be returned for any other reason (i.e the buyer decides they don’t like the book or don’t want it any more). Customers should contact the seller to get their return policy before purchasing. The seller must receive the book within 90 days for a refund to be granted, AbeBooks recommends buyers purchase package tracking so they can keep an eye on the return. @ChristineTacon Nice. Patience is a virtue. Enjoy the book. @BrianFlota Hi Brian, thank you for reporting this to us! We're sorry for any confusion or inconvenience caused.